Word going around is that Jarmusch, Almodóvar (which recently debuted to acclaim in Spain), and Malick have secured competition slots, with the Dardennes, Loach, Corneliu Porumbuiu, Céline Sciamma, Mati Diop (this one seems dubious for Competition, honestly), and Kantemir Balagov to be nearly there. Those are just the bigger names---undoubtedly, there will be surprises, films you didn't think were finished, etc. Honestly, Ad Astra looks increasingly likely and I only included it because of its May 23rd release date. 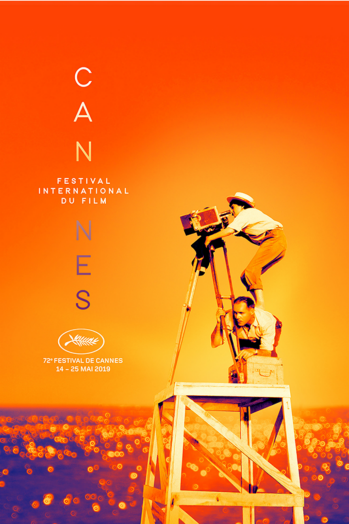 Amongst the known, I'm rooting for Andersson and Suleiman to return to the Croisette and for Reichardt, with the weight of A24 and Scott Rudin, to make a quick turnaround. There was a report a couple of weeks back that Ad Astra won't actually be out on May 23rd and Fox just hasn't changed the date yet because they froze their schedule in advance of the Disney buyout. Supposedly there's too much post-production left to finish the film by May. I meant to type "unlikely" regarding Ad Astra, but I hadn't heard that regarding why it still has that date, which makes complete sense. It seems Béla Tarr has a new film screening in Vienna and only Vienna in June. Jim Jarmusch's The Dead Don't Die is officially slotted to open Cannes in Competition. Variety's final Cannes speculation piece before the lineup announcement on Thursday mostly consists of the usual suspects we've heard about again and again... except for Gerwig's Little Women, which is apparently finished or near-finished and could show up in competition. Well deserved. He reminds me of Deneuve in that you have this incredibly good looking star who was smart and ambitious enough to leverage what he had to work with the best filmmakers out there, and like Deneuve he has one of the richest filmographies of any leading actor that I can think of, studded with masterpieces of all kinds. So, yeah, it's really just a bunch of Wild Bunch titles. I'm thinking this year will be light on films from East Asia, and people will naturally complain, although last year's slate was filled to the brim with interesting and brilliant work from East Asia. Burning could be very well be the most highly praised film of the festival during the festival this decade. But, Lee Chang-dong, Bi Gan, Kore-eda, and Zhangke (who I'd given the Palme) just happened to align. I have no idea whether Lav Diaz will be at Cannes this year, but this year seems as good as any to slot him in Competition, provided his film is of reasonable length by his standards (3-4 hours) and is done. I'd prefer they just give up on Brilliante Mendoza, honestly. I can the see inclusion of something from Africa, if the inclusion of Yommedine last year is any indication of where Fremaux's headspace is at. That could be where Diop or even Kechiche come in. I only have three French films, but that will surely increase. Sciamma seems like a lock, and Desplechin deserves to return to Competition after being sidelined for his perfectly fine My Golden Days and for having to edit his Ismael's Ghosts and letting it open the festival out of competition. Desplechin, of course, debuted his first film in Competition in 1992 and has been a mainstay since, save for Kings and Queen in 2004. To be frank, I'm fine if they just stick with three or even two, but that won't happen. It's not uncommon for the dregs of the Competition to come from France, especially since Fremaux is unwilling to just slot Desplechin and Assayas year-in, year-out, to say nothing of Denis. Last year's efforts from Gonzalez and Brizé didn't review too hot. Doillon, Ozon, and Hazanavicius from 2017. Nicole Garcia from 2016. Donzelli and Nicloux from 2015, etc. Of the Americans, it'd be nice if Focus agreed to let Jarmusch open the festival out-of-competition (or maybe Fremaux sincerely wanted it in Comp; Jarmusch is obviously a friend of the festival), so as to free up slots. I'm sure Tarantino will be a late entry; I cannot see Tarantino's ego telling him to stay home and work on the film in anticipation of its August debut when the big prestige festival is craving to give it a high-profile screening. New Malick is always an event, and he is one of the most interesting filmmakers alive; I'm intensely curious to see how this supposedly scripted film integrates his late style on display in his underrated trilogy. I haven't seen a film from Sachs, truthfully, but his inclusion his exciting because I do not know what to expect. As always, kudos to Huppert for helping an American independent out (my favorite role of her's is in Hartley's Amateur). There is a sincere hope, though, that Reichardt's First Cow sneaks in. She's one of the best filmmakers on the planet and should have made her Competition debut in 2008 with Wendy and Lucy. A24's distributing it and its cast and subject matter is in no way screaming Oscar contender, so it could very well politely debut at Venice, if not here, amongst whatever Netflix has. Honestly, it looks like there are a lot of young Americans who are going to be sidelined by Jarmusch, Malick, and Tarantino (if ready): Shults seems like a solid UCR selection, Durkin, Decker for Fortnight, and some other directors who only go through A24. There's enough plausible candidates from East Asia this year that I can't see them all getting shunted to out of competition slots: Fukada, Kurosawa, Where It Begins (the Wild Bunch-repped directorial debut of Fifth Generation cinematographer Zhao Fei), Luz (an MK2-produced Isabelle Huppert vehicle from Flora Lau), Anthony Chen's Wet Season... and it has no chance of a competition slot thanks to Fremaux's anti-doc bias, but I'm hoping Wang Bing's long-gestating Shanghai Youth premieres somewhere at this year's fest, and this from last month certainly implied that its release is imminent. It would be pretty wild if Cannes managed to get Zhang Yimou's One Second after it was pulled from Berlin, but that feels more like an out of competition entry. In any case we probably won't have the full East Asian lineup tomorrow, given the track record of Chinese titles being announced late due to bureaucratic holdups in Beijing (something which has only gotten worse in the recent months). I totally forgot about Kurosawa, who seems to exclusively hang out in UCR anyway. I heard murmurings of Chen's film being too genre-y, but I don't know why that it should make it difference; the genre-y films provide some relief from Puiu, Ceylan, et al. It seems UCR to me or Critic's Week. Fukada surely has the best chance to crack the Competition of those listed, especially if I grant that Balagov seems a lock. The one film I've heard murmurings about is Lou Ye's but, yeah, like you mentioned that'll likely be a late addition. Of those I listed above, the most vulnerable are probably Diaz and Andersson, who I frankly included because I hope it shows up. Last edited by tarpilot on Thu Apr 18, 2019 6:44 pm, edited 1 time in total. Werner Herzog --- Family Romance, LLC. Last edited by Omensetter on Thu Apr 18, 2019 6:47 am, edited 1 time in total. Yeah, Fremaux's probably holding him a spot. I don't know how much there is to the Gerwig rumors, but I'm sure Tarantino will be ready. Hopefully they add another title or two in addition to this, since these Comp. directors aren't especially known for going long, although I have no idea how long this Les misérables is. I suppose we'll have to wait for Critic's Week and Fortnight to see how much better they could have done. Offhand, it does appear that there might have been something to the rumors of Pablo Larraín's film going to Netflix. There really isn't anything in here that wasn't rumored heavily. Of the most interest, though, is Malick, Suleiman, Porumboiu, and Filho. I'm reductively comparing them because they're young, but I'd take Kantemir Balagov's one feature over Dolan's entire oeuvre. I'd say Almodóvar (who has already received acclaim for this one) and Sciamma are the front runners. When are Critics Week and Fortnight announced? Next week, typically. There is a scheduled day (the 23rd? I want to say for Fortnight), already. But of course Malick clocks at 3. There aren't any long films other than that. Will the long film win again? This decade, the long film has only won twice with Winter Sleep and Blue is the Warmest Color, although in researching this, I didn't know that The Square was a two-and-half hours. That one's certainly an underrated film regardless of the Palme and the best of the 2017 competition (I haven't seen Loznitsa's last two because apparently he's persona non grata to U.S. distributors). Mati Diop was upgraded from UCR to Competition at the eleventh hour. Fremaux loves Tarantino's film and will likely get to screen it. I'm wondering if Balagov could be upgraded to Competition? Twenty-one films is reasonable given that, if not mistaken, Malick's is the only one that runs over 150 minutes. I love how the Americans in UCR submitted straight to Cannes, and aren't Sundance holdovers. I trust none of them are this year's Captain Fantastic. Stronger Brazilian presence than usual this year (one film in comp, another in Un Certain Regard). The Chinese-language lineup covers pretty much all the bases: a film everyone saw coming (it was a pure lapse of memory that I excluded The Wild Goose Lake from my last post), a widely-rumored but lower-profile selection (Nina Wu), and an out-of-nowhere title à la Walking Into the Future from the 2017 lineup (Summer of Changsha). If One Second ends up as a late addition, they'll have an A-list "living legend" to boot. There was a time when we might've expected a genre movie from Hong Kong, but those slots have long been taken over by obscure Korean filmmakers, Lee Won-tae being this year's beneficiary. Biggest surprise is the total absence of Japanese filmmakers; the Koreeda was supposedly withdrawn from consideration after Cannes declined to give it the opening slot, but there's no sign of Kurosawa or Fukada either. I'm guessing at least one of those will be at the Quinzaine.